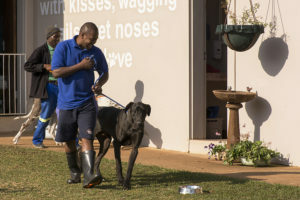 All dog owners want a well-mannered dog, and the prime time for them to learn good behaviour is between birth and five months old, however we accept all dogs irrespective of age, breed or size. 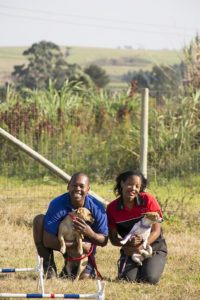 Families from all over South Africa have sent their dogs to us for various training courses. The fastest and easiest way to train your dog is through our three week inboard training program. All dog owners want a well-mannered dog, but not all dog owners have the time, physical capability or ability needed to train their dog. Inboard training is the perfect answer to this problem. 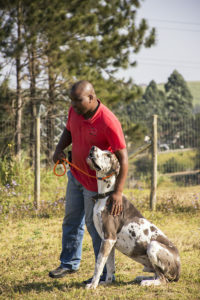 Families from all over South Africa have sent their dogs to us for various training courses. 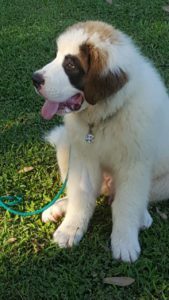 The goal of this program is to help your dog become a calm and well-mannered companion and we accept all dogs irrespective of age, breed or size. First, your dog comes and stays with us. 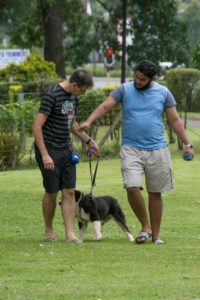 While boarding here, we teach your dog all that he/she needs to know about obedience as well as work on any specific behavioral problems that she/he may have. A critical part of obedience is communication between owner and pet. Often obedience issues arise due to poor communication. Superdogs realises every dog is an individual. Obedience training should reflect the individual needs and personality of the dog. We use positive reinforcement methods to meet those individual needs and personalities. Your dog is trained consistently on a daily basis. 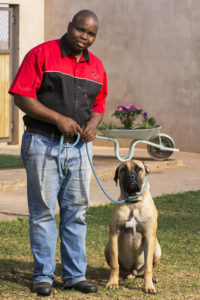 Once we’re done training your dog, we then work with you and your family in five private follow-up sessions to teach you step by step the techniques that we have taught them. If you are planning on going away combine inboard training with your holiday. Yes, we start teaching them the basic obedience commands from 8 weeks old! Your puppy’s best learning time is between birth and 5 months old. Mom takes care of the first few weeks and then we step in and do the rest. Remember, developing good habits now is much easier than correcting poor ones later on. What Will You and Your Puppy Learn in Puppy Class? This class is for older puppies and dogs. The emphasis in these classes is more on obedience and slightly less on socialisation. 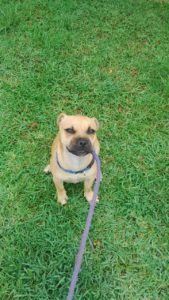 All the basic behaviours, such as sit, down, stay, come and leash walking are taught. Classes span 5 weeks, and each session is roughly an hour long. 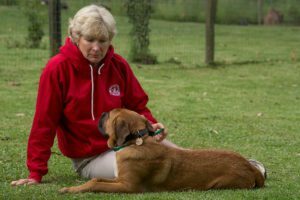 At the end of the 5 weeks, you will have the skills and insight, where if properly applied going forward, will ensure a long term happy relationship between you and your dog. You will have been instrumental in training your dog. Superdogs offers a protection training program as an add-on to our inboard program. All dogs have to be over 1 year of age and have to pass a temperament test to be accepted into this program. Please contact us for more details of this program.